Univ Of Minnesota Press, 9780816698226, 328pp. It was the age of Jim Crow, riddled with racial violence and unrest. But in the world of Our Gang, black and white children happily played and made mischief together. They even had their own black and white version of the KKK, the Cluck Cluck Klams—and the public loved it. 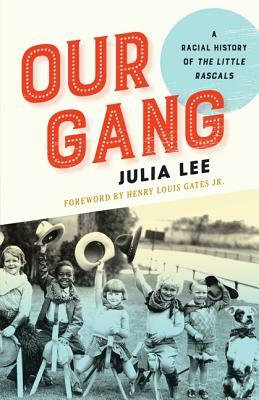 The story of race and Our Gang, or The Little Rascals, is rife with the contradictions and aspirations of the sharply conflicted, changing American society that was its theater. Exposing these connections for the first time, Julia Lee shows us how much this series, from the first silent shorts in 1922 to its television revival in the 1950s, reveals about black and white American culture—on either side of the silver screen. Behind the scenes, we find unconventional men like Hal Roach and his gag writers, whose Rascals tapped into powerful American myths about race and childhood. We meet the four black stars of the series—Ernie “Sunshine Sammy” Morrison, Allen “Farina” Hoskins, Matthew “Stymie” Beard, and Billie “Buckwheat” Thomas—the gang within the Gang, whose personal histories Lee pursues through the passing years and shifting political landscape. In their checkered lives, and in the tumultuous life of the series, we discover an unexplored story of America, the messy, multiracial nation that found in Our Gang a comic avatar, a slapstick version of democracy itself. Julia Lee, assistant professor of English at University of Nevada, Las Vegas, is author of The American Slave Narrative and the Victorian Novel. She was named a 2014 Emerging Scholar by the magazine Diverse: Issues in Higher Education. Henry Louis Gates, Jr. is the Alphonse Fletcher University Professor and Director of the Hutchins Center for African and African American Research at Harvard University. "Like the series it traces, Julia Lee’s book is a gem. "—Henry Louis Gates Jr.